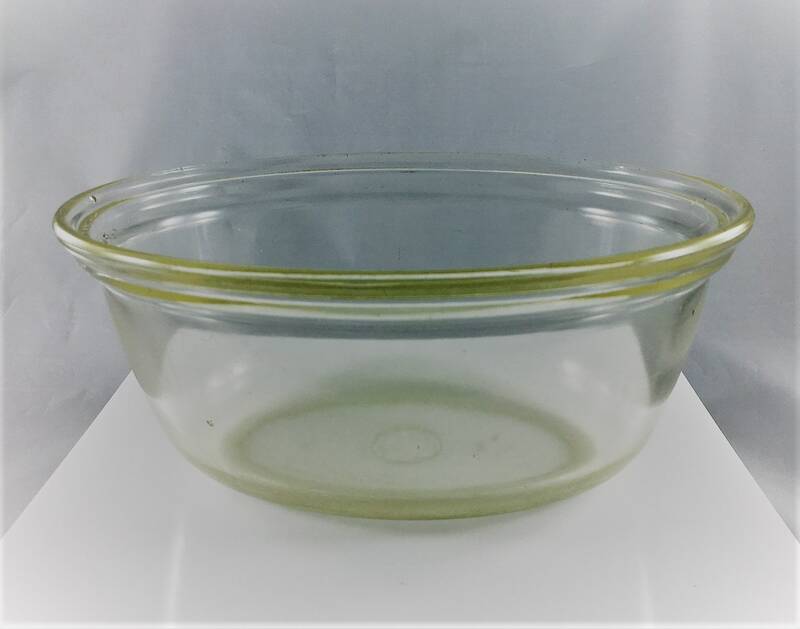 Featured is a very early piece of Pyrex. Based on the logo, it looks like this dates back to pre-1919. 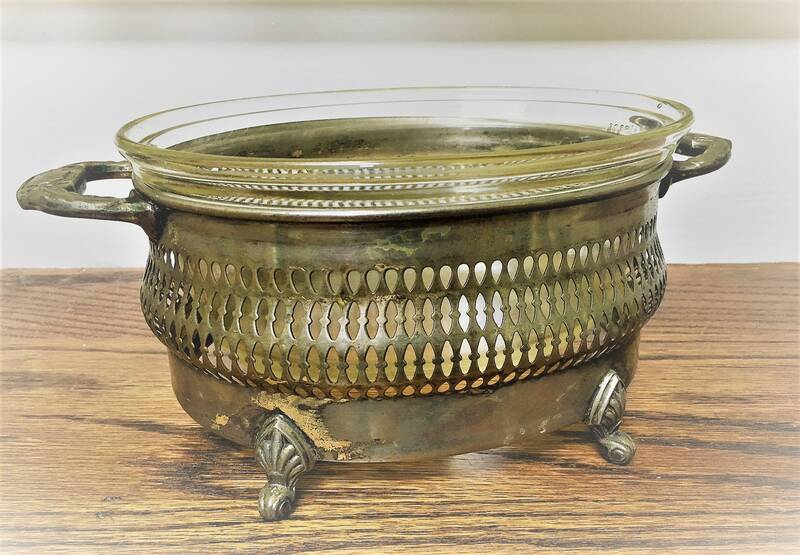 This casserole dish originally came with a Victor lid and was often sold in these silver-plated or metal servers. 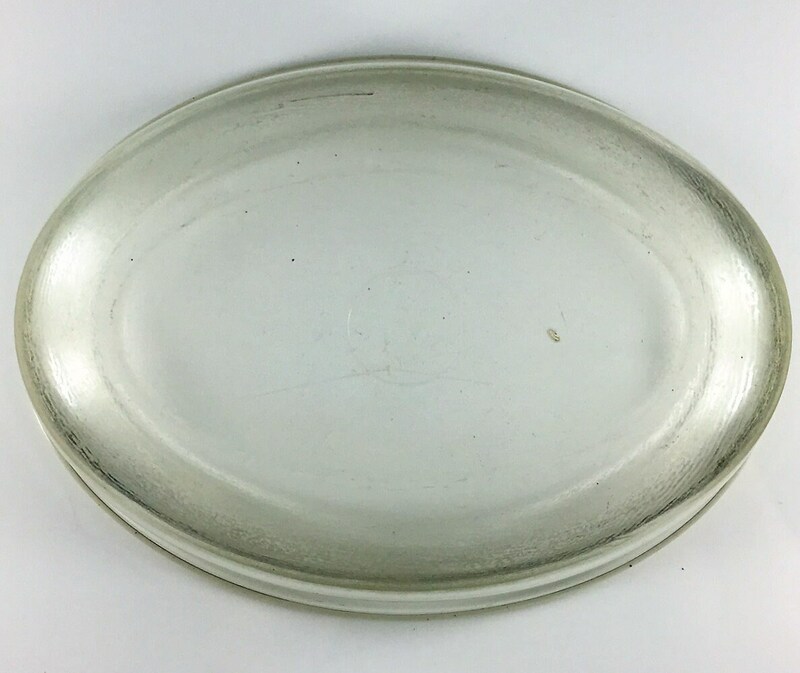 The glass casserole dish itself measures 8 1/4 inches by 6 1/8 inches (oval). It's 3 5/8 inches deep. There are two sets of 3-digit numbers, one set to be read from the outside (297) and one read from the inside (197). 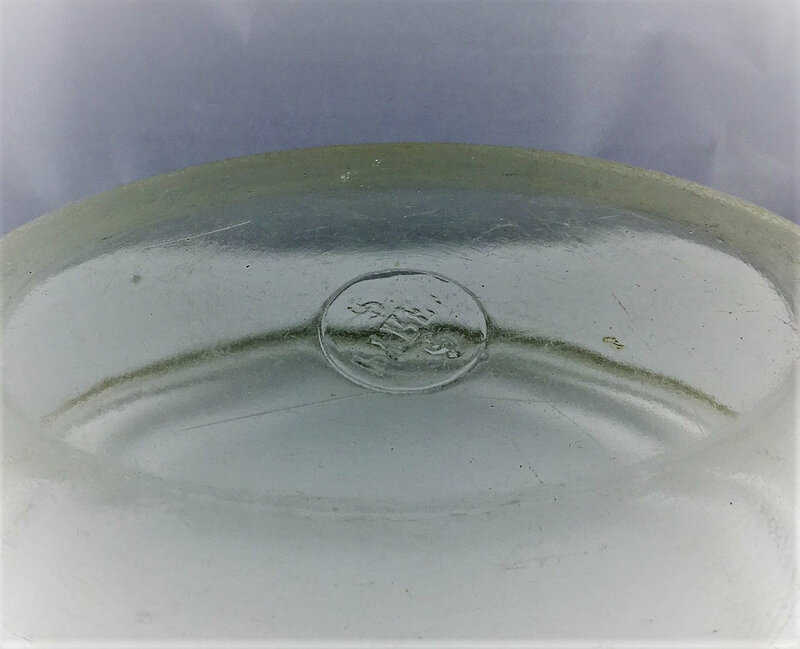 Although it did not photograph well, the dish is marked with a backstamp of a simple circle with PYREX in an all-caps serif font with Corning Glassworks' "CG" monogram above and below. It is the earlier version without the "T.M. REG" and "U.S. PAT. OFF." 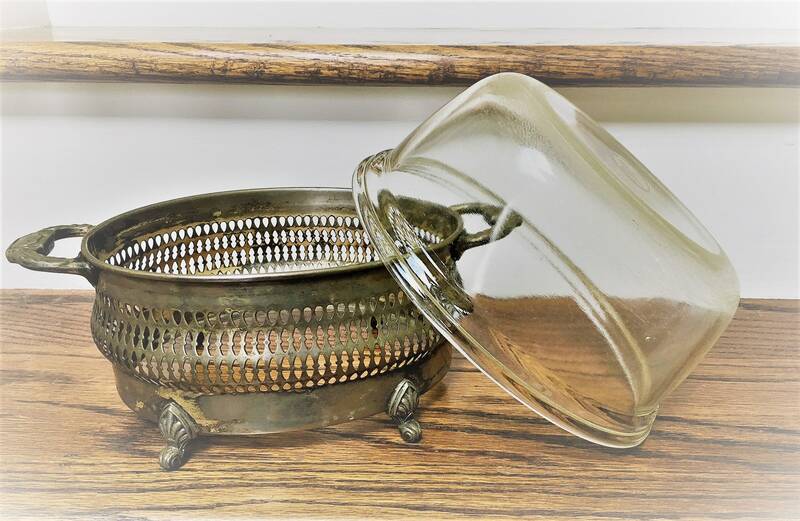 The casserole dish is free from chips or cracks, but is scratched on the interior from decades of use. 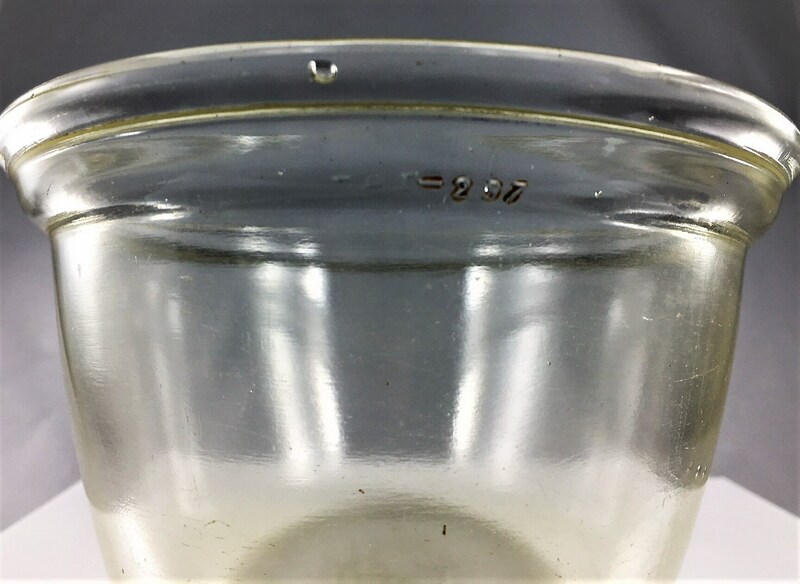 The metal server is solid and intact, but is tarnished and has patina. 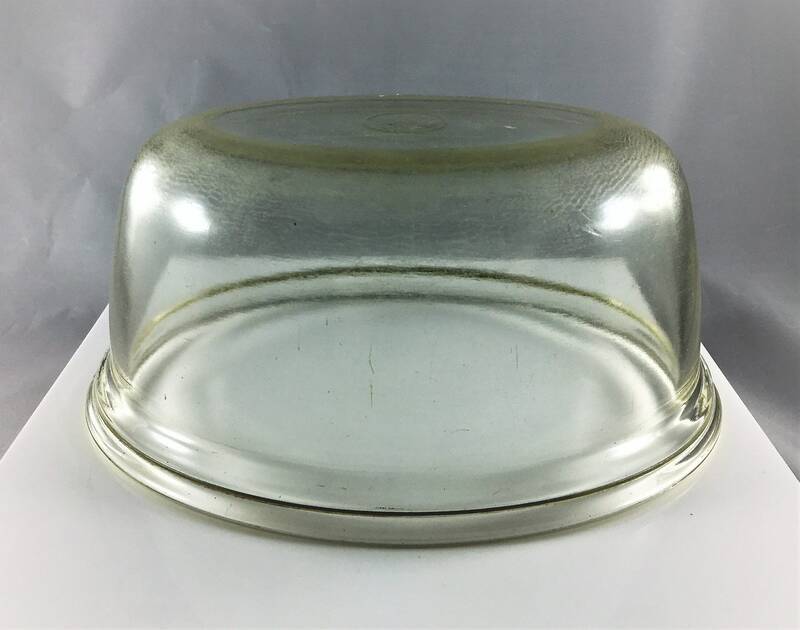 Here's your chance to own a piece of history and really round out your vintage Pyrex collection.